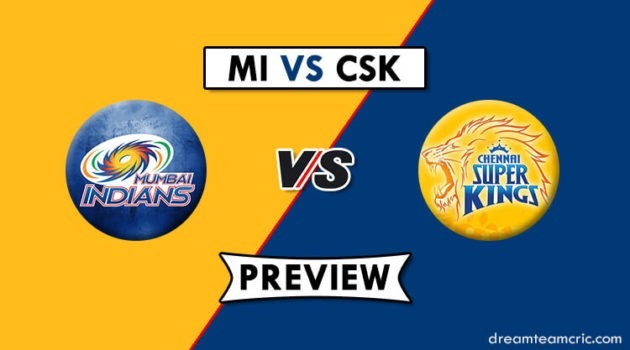 Hello and Welcome to our preview for Mumbai Indians vs Kings XI Punjab match. 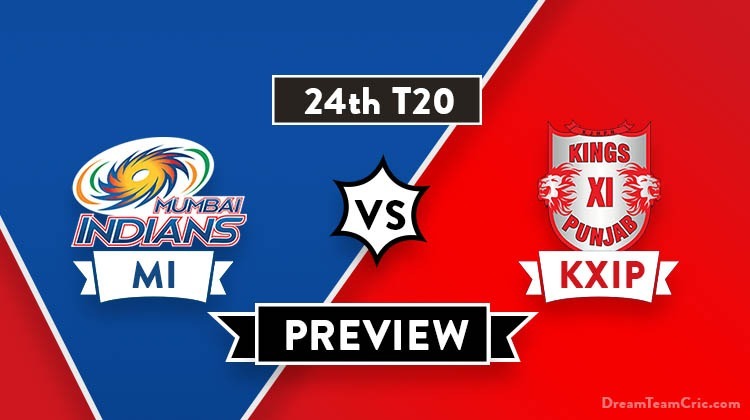 We are covering MI vs KXIP Dream11 Team Prediction, Preview and Probable Playing XI for the T20 match. The match is to be played at Wankhede Stadium in Mumbai. Mumbai Indians are fifth on the points table with three wins and two losses. They won their last match against Sunrisers Hyderabad by 40 runs. Batting first, Crucial knock of 46 runs in 26 balls from Kieron Pollard led them to a respectable total of 136. Defending the low total, Debutant Alzarri Joseph bowled lethal spell to take six wickets while Rahul Chahar took two scalps to restrict Hyderabad at only 98 runs. They will hope to continue the winning momentum and take revenge from KXIP for their previous loss in the season. Kings XI Punjab is having a good season and have won four of their six encounters. They won their last encounter against Sunrisers Hyderabad by 6 wickets. Bowling first, All bowlers bowled economically to restrict Hyderabad at 150. Mujeeb-Shami-Ashwin took one scalp each. Chasing the target, Lokesh Rahul and Mayank Agarwal batted brilliantly to comfortably chase the target. Rahul played a match-winning knock of 71* runs while Mayank scored 55 runs to ensure victory for the hosts. KXIP will expect a similar unison effort from all players tomorrow and give a tough challenge to Mumbai Indians. MI vs KXIP, 24th T20, Indian Premier League, 2019. Pitch will be batting friendly. Early advantage for pacers can be expected. Dew can also play its role in second innings. Rohit Sharma (c), Quinton de Kock, Evin Lewis, Ishan Kishan, Suryakumar Yadav, Siddhesh Lad, Krunal Pandya, Hardik Pandya, Kieron Pollard, Ben Cutting, Mayank Markande, Jasprit Bumrah, Barinder Sran, Rasikh Dar, Mitchell McClenaghan, Lasith Malinga, Jason Behrendorff, Anukul Roy, Anmolpreet Singh, Yuvraj Singh, Pankaj Jaiswal, Aditya Tare, Rahul Chahar, Jayant Yadav, Alzarri Joseph. MI Skipper Rohit Sharma will be missing this game due to a hamstring injury. Siddesh Lad will replace him in the XI. Pandya Brothers will play the role of allrounder. Jasprit Bumrah will lead the pace attack along with A Joseph, Behrendorff/Malinga and Hardik Pandya while Krunal Pandya and Rahul Chahar will be the key spinners. Considering pitch supportive to pacers, Ashwin can risk to play with a single spinner. So, Hardus Viljoen can replace Mujeeb is the only possible change in anotherwise same playing XI. In such case, Murugan Ashwin can also replace Ankit Rajpoot considering his two wicket haul in last head-to-head. Chris Gayle and KL Rahul are likely to open the innings. Mayank Agarwal, Sarfaraz Khan, D Miller and Mandeep Singh will follow them. Ravichandran Ashwin and Mujeeb/Murugan Ashwin will lead the spin attack while Ankit Rajpoot/Hardus Viljoen, Sam Curran and M Shami will be the key pacers. 2 changes for KXIP, Karun Nair and Hardus Viljoen come in for Mayank Agarwal and Mujeeb. 1 change for MI, Siddesh Lad is in for Rohit Sharma. Siddesh Lad, Quinton De Kock (wk), Suryakumar Yadav, Ishan Kishan, Krunal Pandya, Kieron Pollard, Hardik Pandya, Rahul Chahar, A Joseph, J Behrendorff/Malinga, J Bumrah. KL Rahul (wk), C Gayle, Karun NAir, Sarfaraz Khan, David Miller, Mandeep Singh, Sam Curran, Ravichandran Ashwin (C), A Rajpoot, Viljoen, M Shami. C and Vc Choices: KL Rahul, C Gayle, Hardik Pandya, Rohit Sharma, Quinton De Kock, Mayank Agarwal. 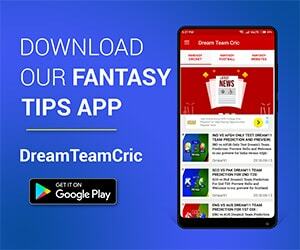 If you liked MI vs KXIP Dream11 prediction, then follow us on Twitter for Latest Cricket News and Grand League teams.